Electric bikes drive bus driver Chen Honglian crazy. 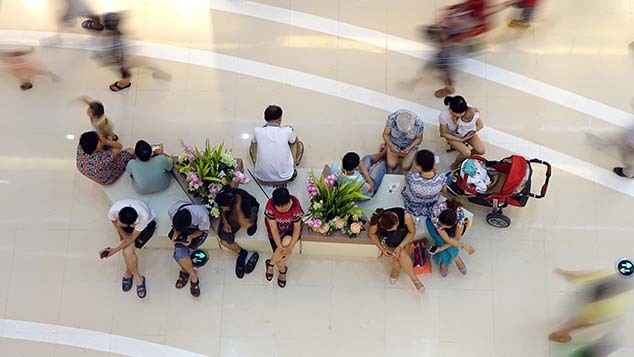 The 40-something Chen has spent a good chunk of her almost two decades behind the wheel of public buses swerving to avoid the thousands of e-bikes that clog the streets of Hefei, capital of the eastern Chinese province of Anhui. E-bikes are lean, silent machines that in recent years have sparked controversy all over China. Whether they are “green” is debatable. They may not add fumes to China’s already-polluted air, but there’s also the question of what happens to them and their batteries when it’s time to send them to the scrap heap. So why all the fuss? The overwhelming issue is one of road safety. Users of e-bikes have a reputation — sometimes well-deserved — for violating the rules of the road at will, often resulting in injury or death. Shenzhen police announced in April that 431 people died of road accidents in the city last year, and just over a quarter of these accidents involved e-bikes. 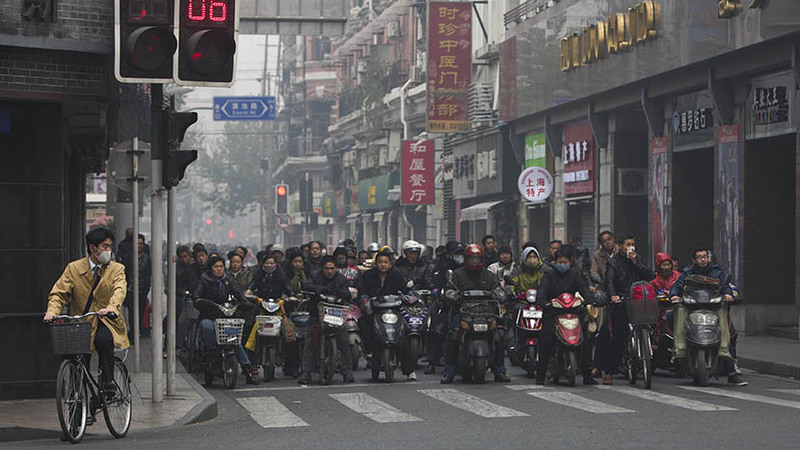 But there’s more to China’s e-bike storm than the locking of horns between disgruntled drivers, frustrated e-bike riders, and government officials. The current situation is the product of the country’s wild growth, its traffic woes, and a widening socioeconomic gap. It also touches on freedom of mobility. 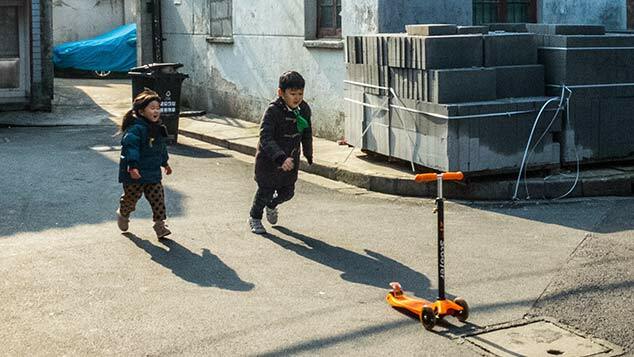 Because an e-bike can usually be bought for around 2,000 yuan (just under $310), it represents an inexpensive way for hundreds of millions of China’s less well-off people to move around, transporting them to schools, workplaces, and possibly even helping to deliver a better quality of life. When e-bikes first appeared in China, no one anticipated the controversies that would accompany them. Seventeen years ago, in 1999, an industry panel suggested that e-bikes should be limited to a maximum load capacity of 40 kilograms and a speed of 20 kph. These seemingly arbitrary specifications have been met with fierce resistance from consumers ever since. Though the first e-bikes were invented in the United States in the 1890s, Professor Ma Guilong is widely believed to be the first man to introduce them to China, from his lab at Tsinghua University in 1989. He said he originally thought it sufficient to replace manual bikes with electric versions able to travel at 10 kph without pedaling. Ma was featured in an episode of a China Central Television documentary series commemorating top industrial innovators in 2009, largely because he gave up his claim to nearly 100 patents so manufacturers could share the technology freely. This move catapulted China to the top buyer and seller of e-bikes in the world. The country is the world’s number-one producer and consumer of e-bikes. 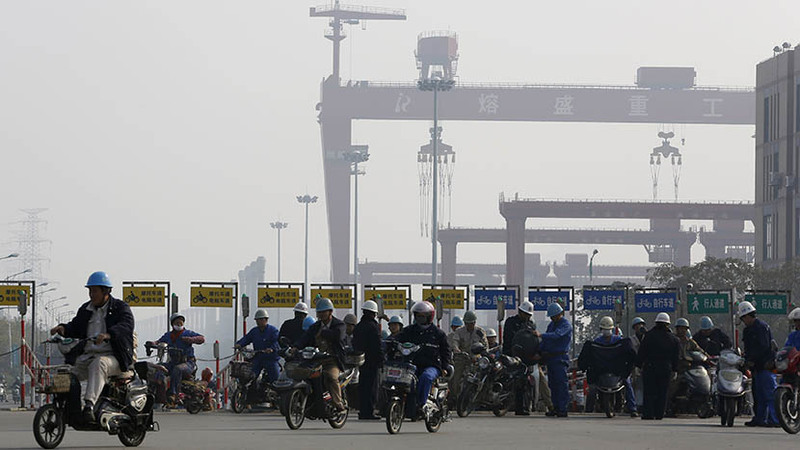 The debate over whether to continue using them is significant because Chinese manufacturers have big ambitions to export their bikes around the world — but what is a Chinese problem today could affect the rest of the world in a few years. Many Chinese, Chen included, have a love-hate relationship with this affordable mode of transportation. The “hate” side was most recently on display in Beijing earlier this month, when a 20-something-year-old deliveryman, surnamed Feng, was slapped six times in the face by a 57-year-old driver, surnamed Li, after Feng’s electric delivery tricycle scraped Li’s car in a crowded residential block. A video recording of the incident quickly went viral on Chinese social media. That incident came a week after a decree from Beijing police banned e-bikes from several major thoroughfares in the downtown area. 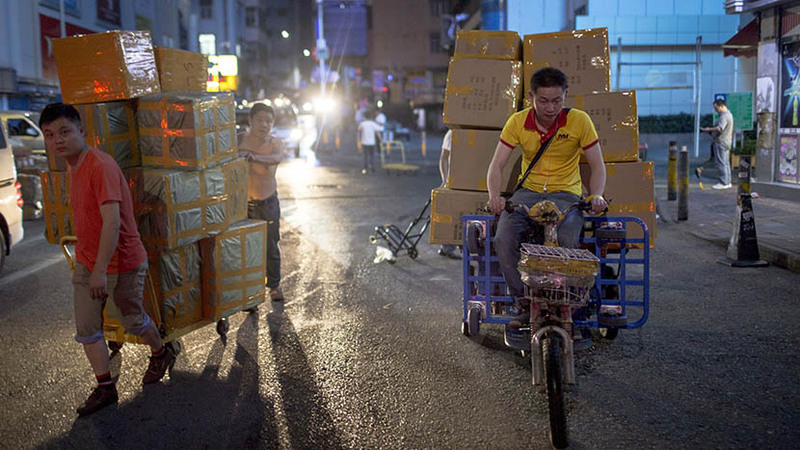 Prior to that, the city of Shenzhen, in South China’s Guangdong province, swooped in to confiscate tens of thousands of illegal e-bikes in the city. Authorities there even detained hundreds of offenders. Cities have sprawled at an unprecedented pace to house the 1.4 billion people living in China. The United Nations Development Programme estimates that 700 million people will be crowded into a total urban landscape of just 41,000 square kilometers — less than half of one percent of China’s land area — by 2030, so regardless of how much longer the Chinese economy booms, citizens of its cities are bound to have to face the daily challenge of how to move around. Drawing on its past as a “kingdom of bicycles,” China’s 300 million commuters and migrants still rely on two- and three-wheelers — not the formerly ubiquitous pedal-powered bikes, but rather the quiet and highly contentious battery-powered e-bikes. Chen, the bus driver, depends on an e-bike to go to and from work, but she dislikes them in general because of the dangers they pose to bus drivers like her. Last year, an apprentice bus driver on Chen’s team rammed into an e-bike rider and had to pay for repairs and medical expenses out of his own pocket. Most bus drivers choose not to report accidents to management unless they are serious. “You may ask for reimbursements, but the company will deduct more than the reimbursed amount from our wages,” said Chen. Chen said that while a car offers better protection from the elements, finding parking can be difficult, and tickets are a common and frustrating reality for automobile drivers. In an effort to curb the number of e-bikes taking shortcuts across the campus of Tongling University, in Anhui province, the school announced in mid-April that it would ban all e-bikes from campus. Mao Lamei, an associate professor of accounting, said an outcry from faculty and students forced the school to quickly amend its plan, adding an e-bike shelter outside the east gate. E-bikes hold a particularly special place for migrant workers. 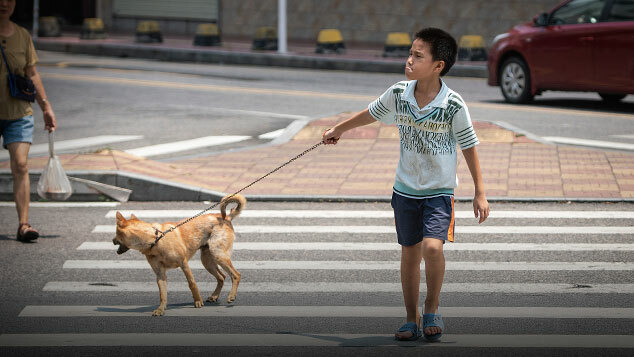 Such workers account for up to 40 percent of the population of Beijing — about 8.2 million out of 21.7 million, according to the city’s 2015 census report. In Shenzhen, too, migrants form an important part of the population, making up half of the 17 million people who live there. The city is also home to 4 million e-bike owners, who use them for their daily commutes, for taking their kids to school, and for hauling personal goods and express deliveries. 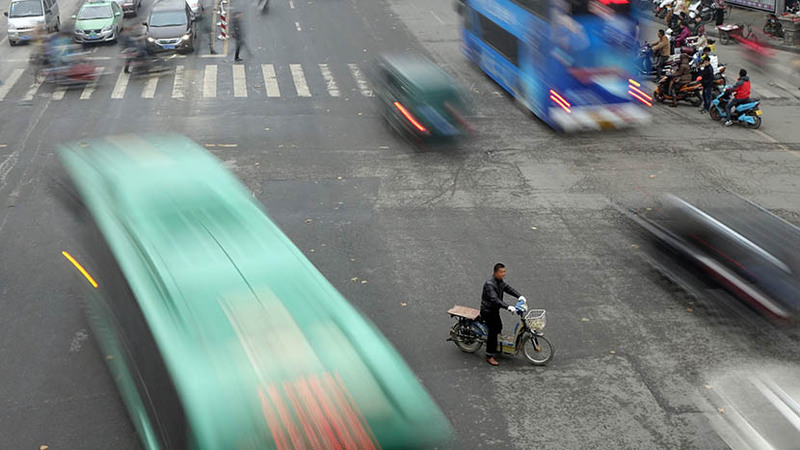 After making gas-powered motorcycles totally illegal in 2003, Shenzhen began restricting the use of e-bikes in 2012 and has made 90 percent of city roads off-limits, on the grounds that riders often compete with cars and run red lights. 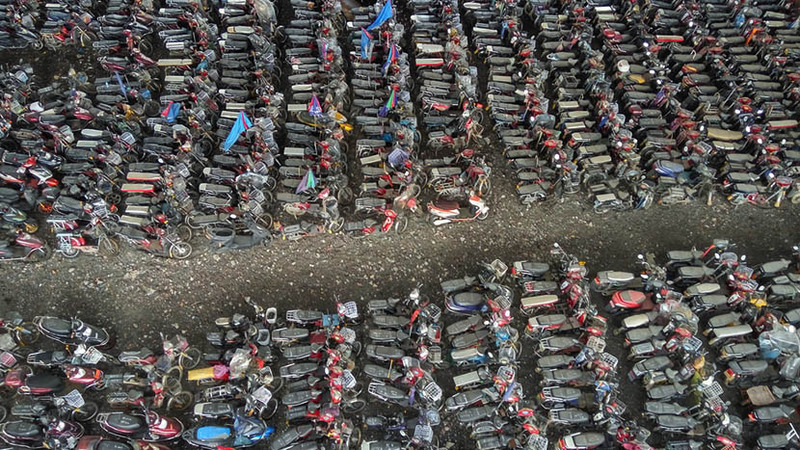 For the last four years, police have pulled 400,000 e-bikes off the streets and heaped them high in massive dumps, according to a report in local media. Police squads confiscated nearly 18,000 e-bikes and detained more than 800 riders during the first 10 days of their 100-day campaign that kicked off in late March to eradicate the “silent killers” from the city’s streets. Owners — at least those willing to walk through the bureaucratic red tape, produce official invoices, and pay fines nearly equal the value of the bikes — manage to redeem about 5 percent of them. The majority will lie rusting in massive scrapyards under city flyovers or get resold by secondhand dealers. 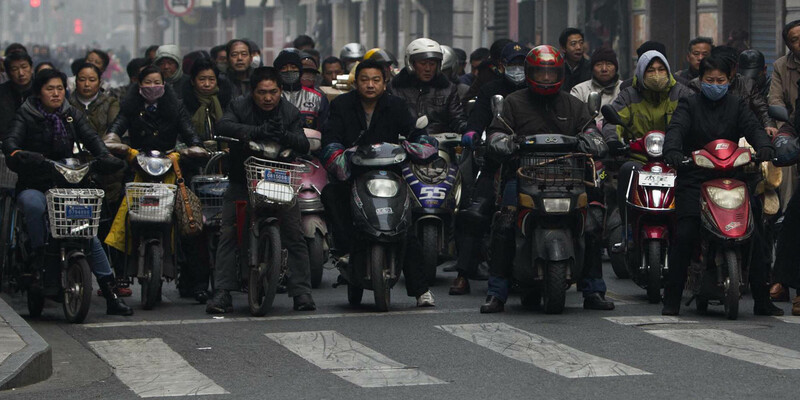 Commenting on the e-bike ban, Lu said that on the surface it’s a discriminatory policy against migrant workers. But deep down, he added, it’s about competition between cars, bikes, and trucks for limited parking and space on congested roads. Last year alone, nearly 24 million new cars took to China’s roads. By comparison, roughly as many — 24.5 million — new e-bikes joined the daily snarl of traffic. However, according to deputies at an industry conference, the domestic e-bike market shrank for the first time in 2014, ending 16 years of robust growth. Police estimated in 2015 that mainland Chinese owned 172 million private cars, as well as 100 million motorcycles. But the mid-1990s policies restricting the use of — or completely banning — motorcycles in big cities set the stage for the e-bike boom. Years passed, and of the current 300 million riders of two-wheeled vehicles, users of foot-powered bikes account for just 20 million — down from 110 million during the peak years of the 80s and 90s. Over the same span, e-bikes have risen to cover 60 percent of the two-wheeler market, or more than bicycles and motorcycles combined. Ni Jie, founder and chairman of Zhejiang Luyuan Electric Vehicle Co. Ltd., a leading manufacturer of e-bikes, told Sixth Tone it was unfair and illogical for the Shenzhen municipal government to restrict the use of e-bikes in favor of buses and private cars. “I’m opposed to it and I’ve said so repeatedly,” said Ni. 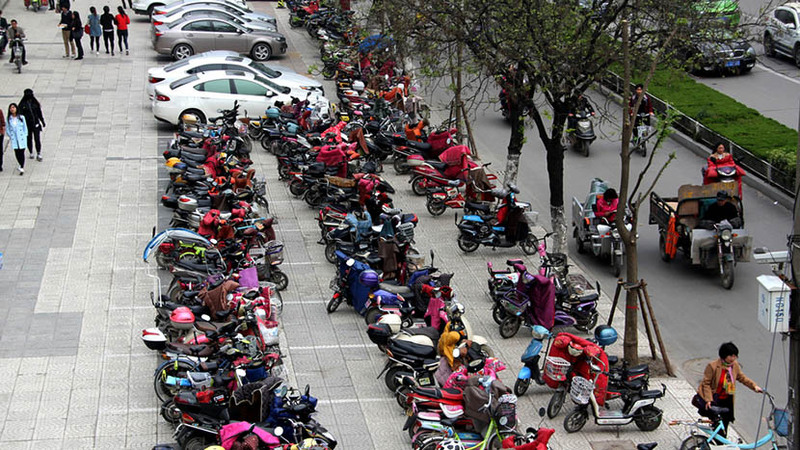 “I don’t know what the Shenzhen police are really after, but it’s like climbing a tree for fish if you attack traffic woes with a simple ban on e-bikes. What’s wrong with e-bikes? Are you saying hundreds of millions of consumers are wrong too?" Ni believes such a clash between private demand and government policy in its present form is inevitable — and if this is the case, why not look toward a compromise now? In such a policy-driven economy, the e-bike industry, since its infancy, has been one of the few to see success without tax incentives or state grants for design and research. Two decades largely exempt from government interference have witnessed e-bikes evolving into a 200-billion-yuan industry in terms of annual gross revenue, with millions of jobs created across industry hubs like the northern city of Tianjin into the eastern provinces of Zhejiang and Jiangsu. The domestic market for e-bikes is gradually becoming saturated, and more players are pinning their hopes overseas. China sells e-bikes to more than 100 countries across the world, with shipments of 1.38 million units last year, according to data from Chinese customs. Lu of the bicycle association said the average unit price of 3,000 euros (22,000 yuan) among competitors in the U.S. and Europe, compared with an average of 2,000 yuan in China, gives ample leeway for Chinese manufacturers to shift their emphasis from the mass production of relatively primitive bikes to sophisticated models sought by consumers in developed countries. “We’ll be on top of the world in no time,” said Lu. With contributions from Dong Heng and Wang Lianzhang.